The Viper Metropolitan Cabinet offers three attractive style to choose from. 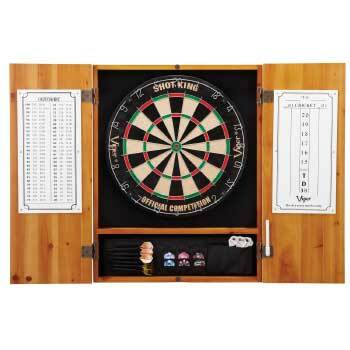 Sleek, High profile cabinet doors keep your board hidden from sight when not in use. Convenient lower shelf storage area with removable dart and accessory holder.